We Specialize in Onsite, Group & Corporate Training in Anchorage, Eagle River, Wasilla, Palmer and Beyond. 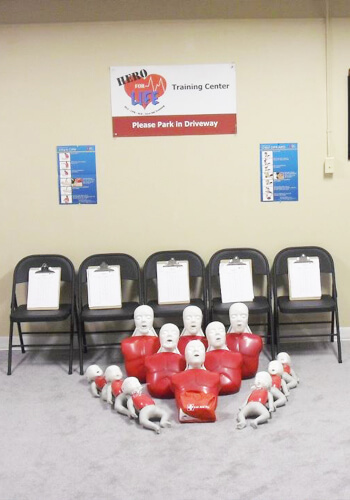 In the past BLS for Healthcare Providers, CPR/AED and First Aid Training courses were the dreaded requirement. Hero For Life CPR & First Aid Training wants to Eliminate the stigma that CPR certification has to be boring. We want to educate as many people as we can on how easy it is to Save a Life! We specialize in Corporate On-Site Training-We Bring the Class to you!